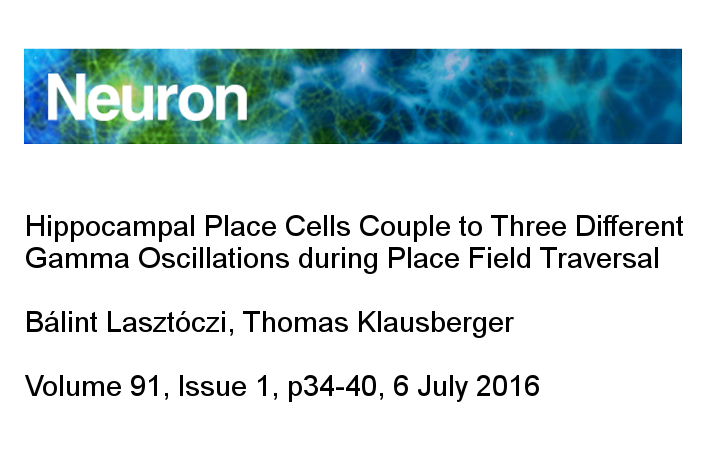 We congratulate our JetBall-TFT demo lab partners, Dr. Lasztóczi and Prof. Dr. Klausberger for their publication in Neuron: Hippocampal Place Cells Couple to Three Different Gamma Oscillations during Place Field Traversal. Three distinct gamma oscillations are differently modulated by theta oscillation. During theta phase precession, CA1 place cells couple to all gamma oscillations. Some cells couple to various gamma oscillations during single place field traversal. Individual cells integrate information from multiple gamma networks.